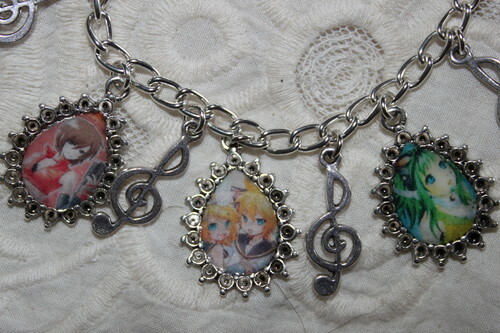 Pick Your Own Vocaloid Characters charm bracelet. My hand-made jewelry, including this Vocaloid charm bracelet, is available at www.bonanza.com/booths/anitasthings. HD Wallpaper and background images in the Vocaloid club tagged: vocaloid kaito meiko rin len gumi miku eira luka.